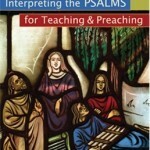 Interpreting the Psalms for Teaching and Preaching was published in August by Chalice Press (St. Louis). Twenty scholars wrote chapters about the Psalms and dedicated their work to Dr. John Davis, longtime professor and former president of Grace College & Seminary. The contributors include present and former Grace faculty members: Marty Abegg, Richard Averbeck, Herb Bateman, Ken Bickel, Bernon Lee, Tiberius Rata, and Brent Sandy. Students and colleagues of Dr. Davis at other institutions who also wrote chapters for the book include David Dockery, Walter Kaiser, Eugene Merrill, Richard Patterson, etc. Bateman and Sandy assembled the contributors and edited the book. 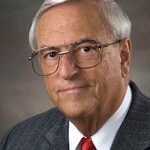 The preparation of the book was first announced by Grace president Dr. Ron Manahan at Commencement 2004 upon the retirement of Dr. Davis. The goal of the book is to help people in local churches to experience the psalms in life-changing ways. The book’s special contribution is guidance for appreciating the affective power of poetry so that the psalms can penetrate the heart of hearts.